Psyllium is a form of soluble fiber found in the husks of the Plantago ovata plant’s seeds. In fact, 100 grams of psyllium provides about 70 grams of soluble fiber. For comparison, a similar amount of oat bran contains about 5 grams of soluble fiber. Fiber plays a critical role in your overall digestive health. There are two types of fiber - insoluble and soluble, and believe or not, one of the reasons why fiber is so important is the fact that your body can’t digest either form. Insoluble fiber, found in dark green leafy vegetables and whole grains, stays mostly intact and does not dissolve like soluble fiber does. It tends to pass quickly through the digestive system, thus helping to increase the passage of other foods through the digestive tract, resulting in increased bowel movements and less constipation. Soluble fiber, found in legumes, grains, flaxseed, brussel sprouts, chia seeds, apples, apricots, grapefruit, and psyllium, attracts water and dissolves into a gel-like texture in your stomach. When soluble fiber dissolves in water inside the small intestine, it tends to add bulk to your stools, slowing down digestion, thereby giving essential vitamins and minerals time to get absorbed through the intestinal walls. Soluble fiber also can bind to cholesterol, preventing it from being absorbed by the body and reducing cholesterol levels. Many side effects of digestive disorders revolve around bowel movements. Since psyllium helps soak up water in your stomach and small intestine, thereby increasing the bulk of your stools, it can make bowel movements easier. It can help with regularity without additional flatulence. It also has the ability to soften your stool. In one study of people with ulcerative colitis, psyllium seeds were shown to be as effective as the prescription drug mesalamine in decreasing recurrences of the disease. These are some of the reasons you’ll find psyllium as an ingredient in Jon Barron’s Colon Regenerator formula. Research shows that eating a high-fiber diet may provide a 40% lower risk of heart disease. Psyllium can help your overall heart health by lowering blood pressure, improving lipid levels, and strengthening heart muscle. One of the benefits of the slower digestion induced by the presence of soluble fiber is that it may help slow the breakdown of carbohydrates and absorption of sugar in the body. This can help your body maintain proper blood sugar levels. Since the fiber in psyllium slows the digestive process, it helps contribute to a feeling of fullness, which in turn helps prevent overeating. Psyllium husk may help with skin health as it helps move yeast and fungus out of your body, preventing them from being excreted through your skin where they could trigger acne or rashes. Psyllium is commonly found in powder form that can be easily mixed with water or juice and is also available in capsule, granule, or even liquid form. 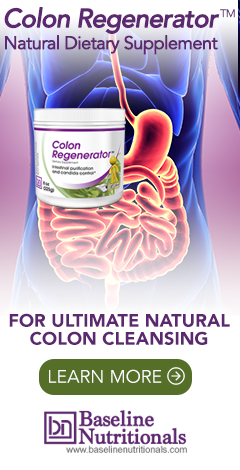 It is also found in many over-the-counter laxatives, or natural colon health formulas. One thing to keep in mind if taking psyllium is that it does absorb a significant amount of water in your body. You’ll want to make sure you drink enough water to avoid getting dehydrated. How would psyllium affect IBS caused diarrhea? Which I experience upon awakening and then again after eating breakfast. In 2004 I had appendectomy, 3 inches of intestine was removed.